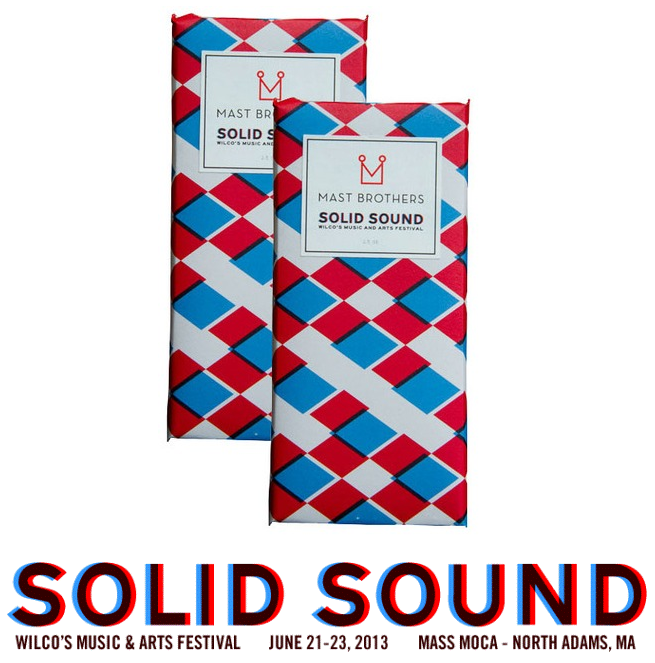 The Brooklyn based chocolatier Mast Brothers has teamed up with the band Wilco, in offering a limited edition chocolate bar which is named for the band's upcoming music festival, Solid Sound. Of the 3,500 bars crafted, Mast Brothers has placed "golden tickets" in 5 wrapped bars, which will grant all access to the 3 day show to the lucky finder and a guest of their choice. Watch the attached video below to learn more followed by a scene from its inspiration, Willy Wonka and the Chocolate Factory.